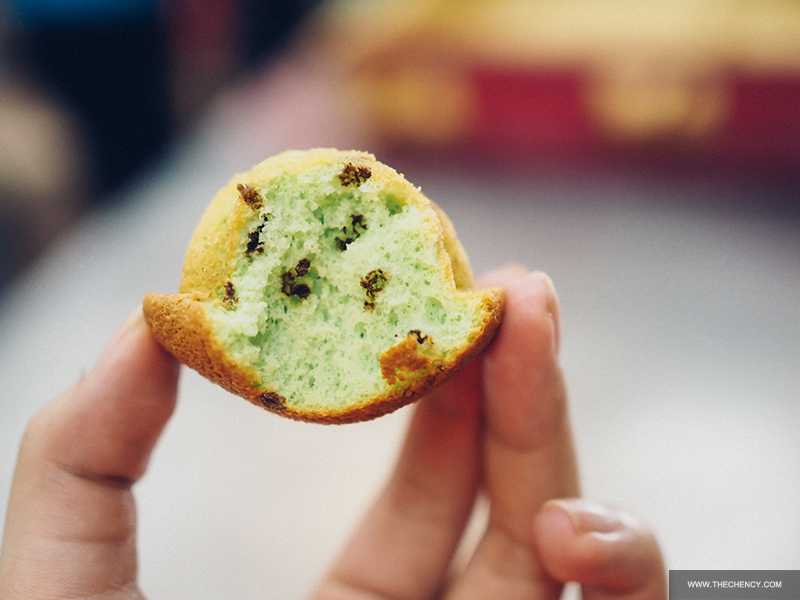 Kuih Bahulu, as known as mini egg sponge cakes in English, is a traditional Brunei and Malaysian snack. 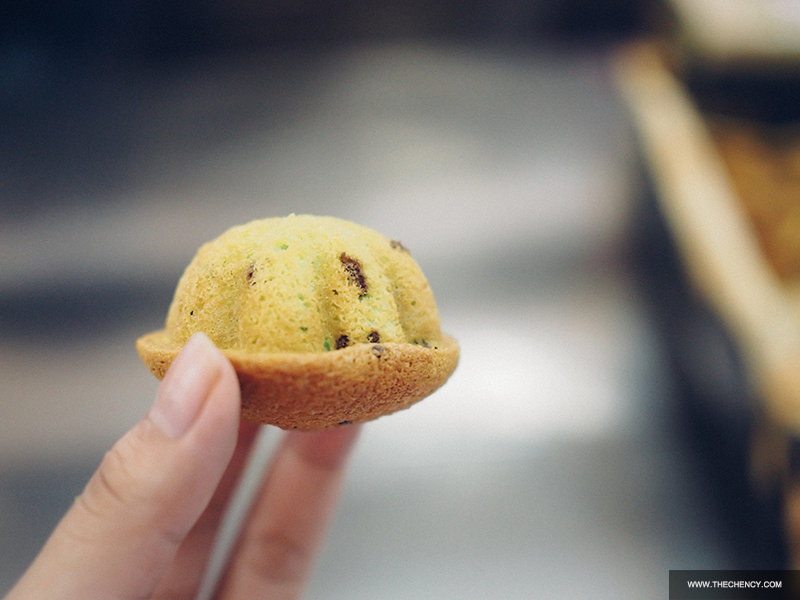 Previously it treated as one of kuih raya such as festive celebrations and weddings but nowadays it can be found anywhere and it becomes one of the common hi-tea snack. Traditionally, they were baked in a special copper mould over charcoal fire; with a lid covered and charcoals were on the lid which took quite a long time to cook. Due to the technology improved, now they are baked in oven and came out with various flavors, patterns and sizes of aluminium moulds. Personally I am fans of the cute little Bahulu. 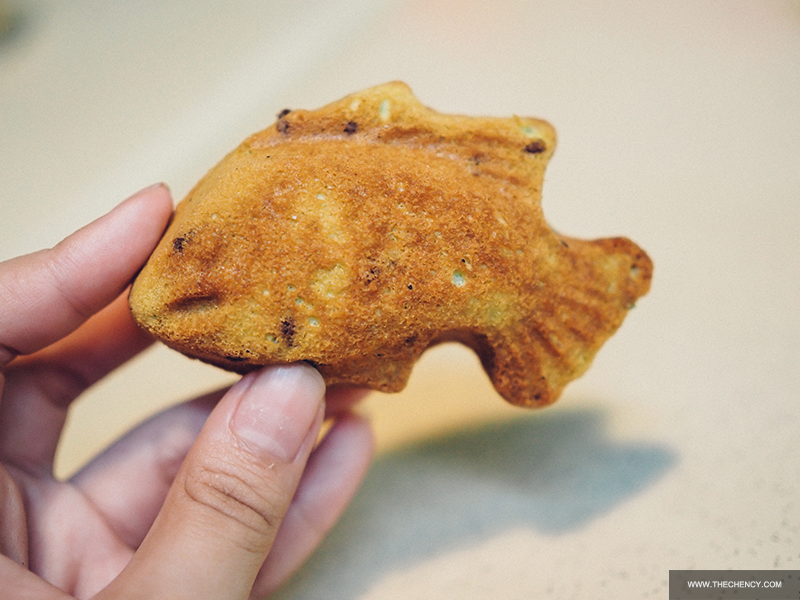 It is soft, fluffy with spongy texture makes me can't stop eating it. During the getaway to Hulu Langat, I am glad to visit Bahulu Classiq, a home-based mini factory showing me how to produces Kuih Bahulu and Swiss Rolls. 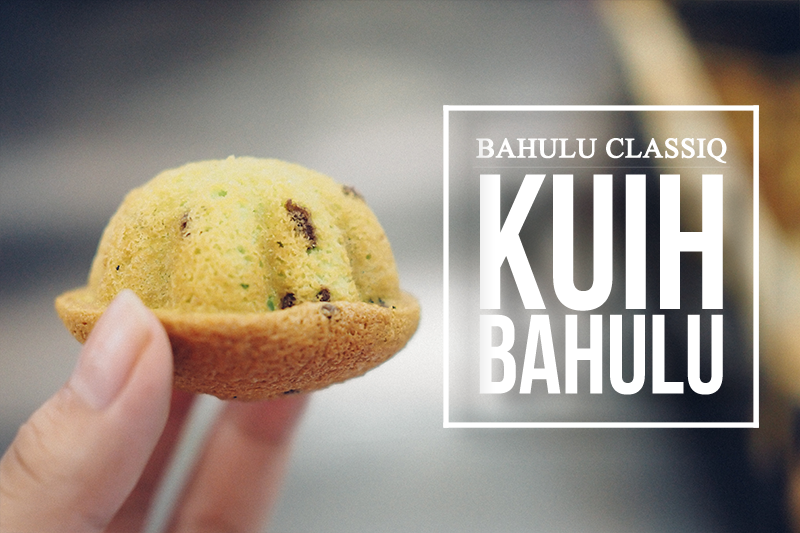 The ingredients of Kuih Bahulu actually pretty simple; which are eggs, flour, sugar, baking soda and flavor essence. 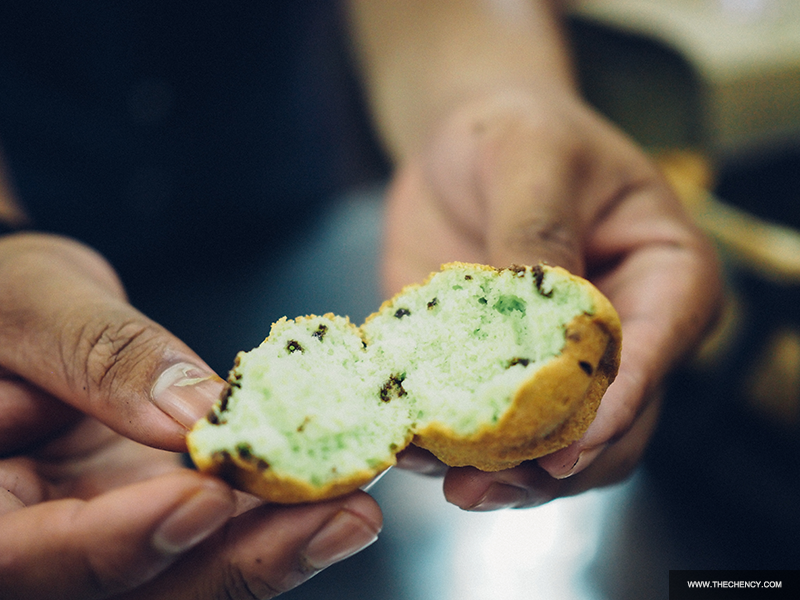 The common Kuih Bahulu will add in vanilla essence for a touch of pleasant smell but Bahulu Classiq breaks the traditional not only produce the classic flavor but also pandan and cappuccino flavor even swiss roll. Before start to make bahulu, put the mould into oven and pre-heat the oven at 200 C for about 15 to 20 minutes or until you're ready. Whisking process is the key of making a spongy bahulu. Firstly,beat the eggs with an electric mixer until light and frothy. If you don't have electric mixer, manually whisk until the consistency is right. Then, gradually add in sugar and continue beating until the sugar is dissolve and the consistency becomes thick, pale (reaching white color), sticky and fluffy. Add on panda extract and few dots of food coloring and mix until everything combine. After that, mix in sifted flour and baking soda little by little at a time until well combined. When everything has combined, lastly add in chocolate rice and gently fold using spatula until the batter is even. Take out the moulds from oven (it's super hot). Grease with oil to prevent sticking. 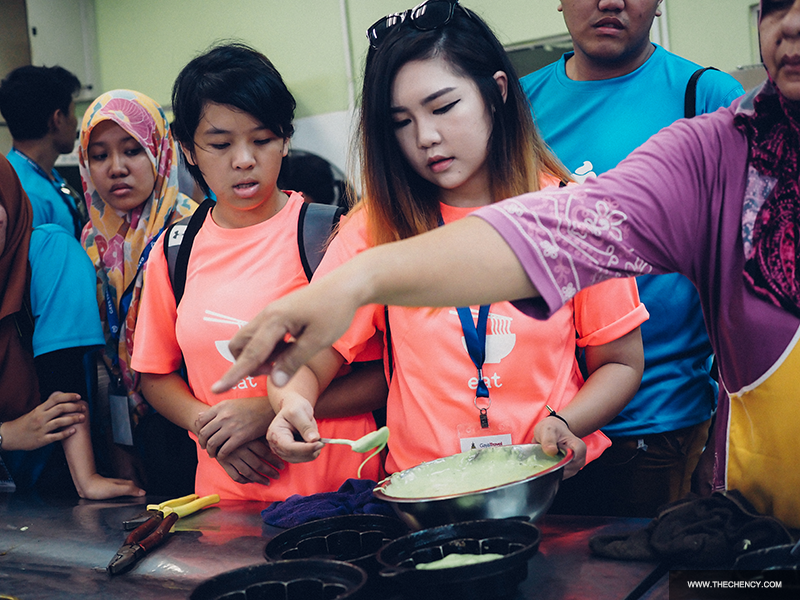 Extra tips: Use pandan leave (tie them together) instead of using brush to add a pleasant pandan aroma onto it. Then, quickly fill in the moulds with batter (about 1 tablespoon or until almost full). Try to works as fast as you can because you don't want the moulds start to decrease the temperatureBake in preheated oven at 200° C for 15 minutes or until golden brown on top. Remove bahulu from the moulds by using a tooth pick and cool on a wire rack. 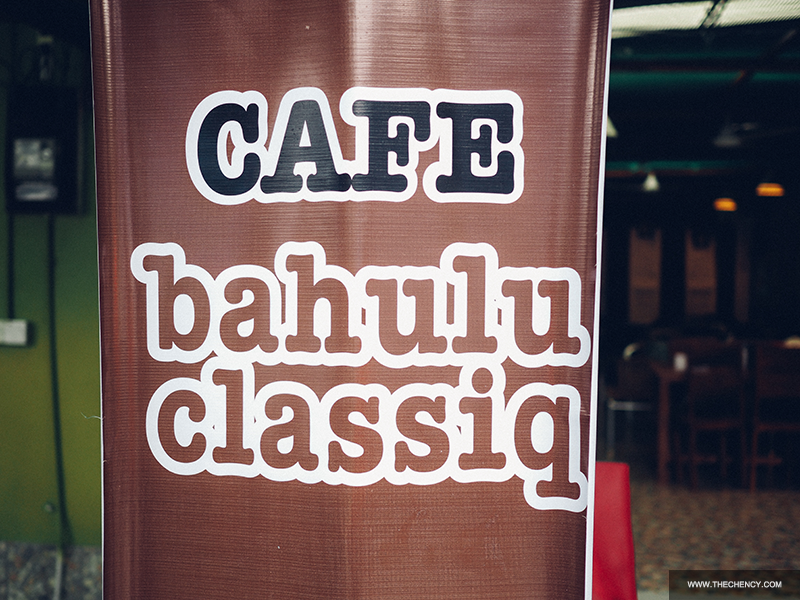 Like mentioned above, Bahulu Classiq has three flavors; original, pandan and cappuccino. I tried all and my favorite is the pandan flavor with chocolate rice in it because I love the aroma of pandan. It's yummy, fluffy and so soft especially the bites when bahulu just out from oven. 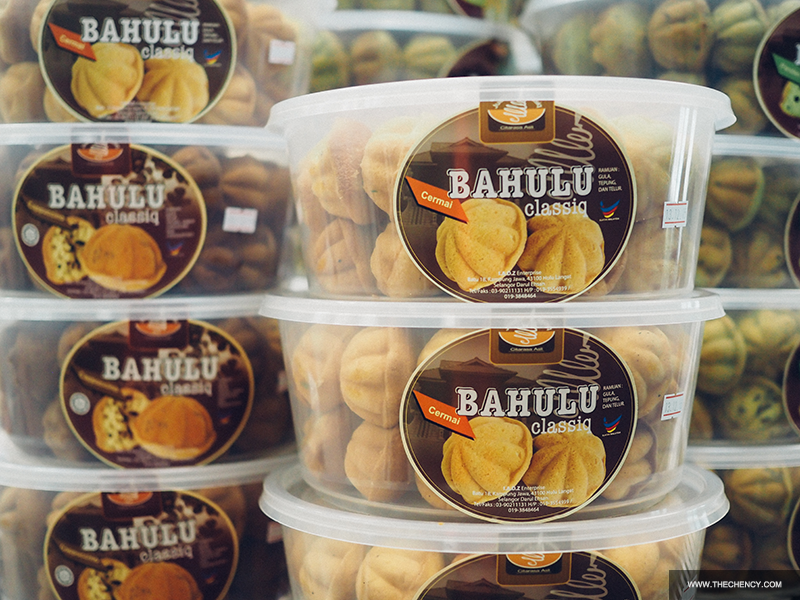 For your information, Bahulu Classiq has a cafe just beside their mini factory where you can buy bahulu and other snacks as souvenirs or even you can hi-tea at there. 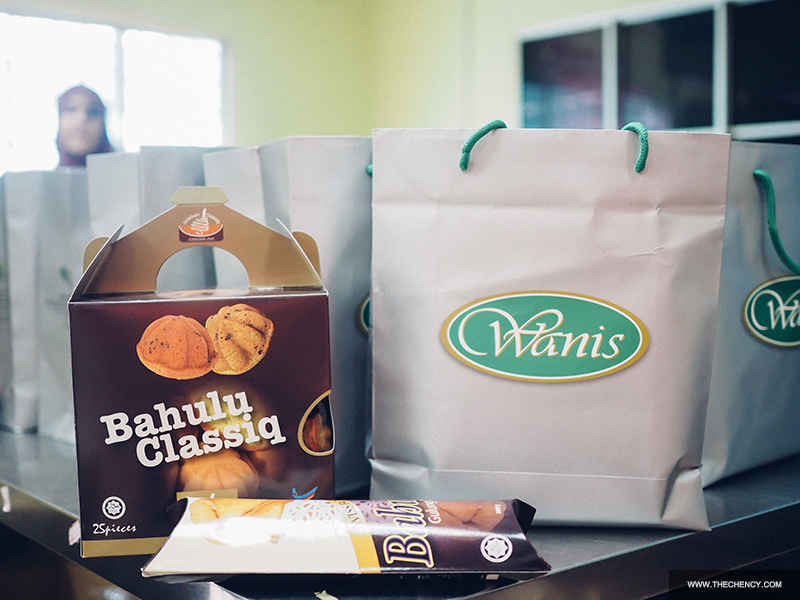 Besides that, Bahulu Classiq is open in bulks order like gifts for weddings, parties or corporate events. 24, Batu 18, Kampung Jawa, 43100 Hulu Langat, Selangor.